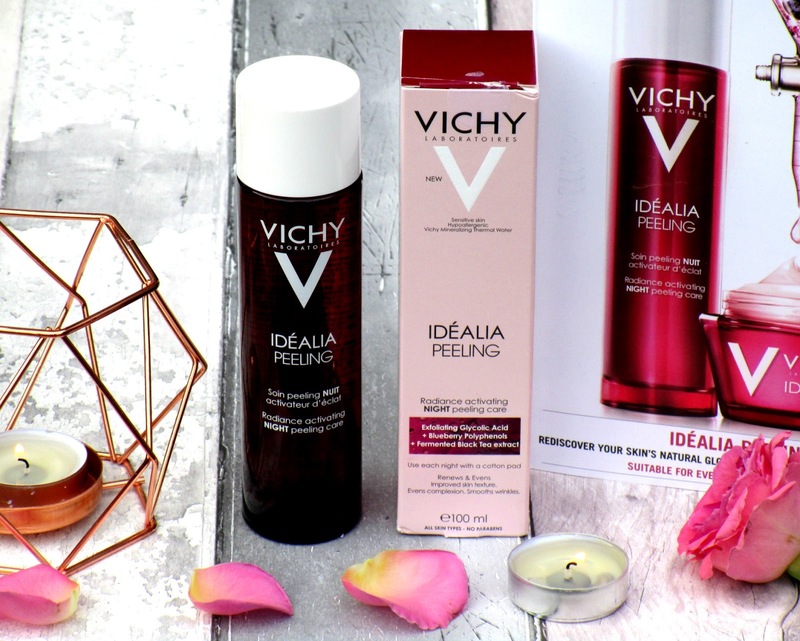 If you've been reading my blog a while now you'll probably already know I'm a huge fan of Vichy, I use a few of their skincare products on a daily basis and even their dermablend makeup, so when I saw that they had added to their popular Idéalia range with an overnight peeling care treatment I couldn't wait to give it a whirl. Idéalia Peeling* is the first overnight peeling treatment from Vichy, it has been designed to tackle exhausted skin and restore the skin's radiance, whilst also refining pores, improving the skin's texture, smoothing fine lines and wrinkles and is said to leave the skin refreshed and refined. To apply the product all you have to do is simply pop some of the Idéalia Peeling onto a cotton pad and wipe around the face straight after cleansing in the evening, then simply follow on with your regular skin care routine. It's super quick and easy to use and doesn't really take up any extra time in my routine, and what I love about Vichy's offering is that it has been adapted for sensitive skin, where as many other overnight peeling products aren't, so it's great for a sensitive little bunny like me he he. After using the Idéalia Peeling for a few weeks now I have definitely seen an improvement in my skins texture, it's super smooth and supple and my makeup seems to go on smoother and looks a lot more flawless and even, I do tend to get the odd dry patch here and there on my skin too but since using the peeling I haven't had any trouble with dryness, this could just be a coincidence though. I've also noticed it's had a calming effect on my skin and has reduced the redness I always get around my nose and chin in the mornings dramatically, so if redness is a problem for you then I'd definitely recommend giving this a whirl. Overall I've really been enjoying Vichy's new Idéalia Peeling, as I said before it's super quick to use and honestly take less that a minute to apply and the rewards for adding this small step are really good for me, my skin has certainly taken a shine to the Idéalia Peeling which I thought it would because I get on so well with the rest of the range too. 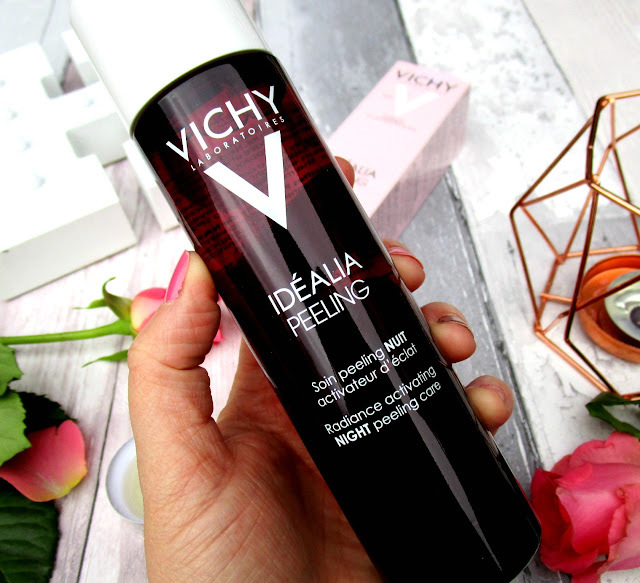 If your looking for something that works really hard on your skin during the night but in a gentle way that will make your skin appear fresher, glowing and super smooth in the mornings then Vichy's Idéalia Peeling is worth a go for sure! You can find the Vichy Idéalia Peeling for RRP £30.00 HERE. This sounds great - anything that can make me look less blotchy in the morning has got to be a good thing! I haven't tried Vichy yet but they are on the must-try list. I love anything that will smooth out my skin so this sounds like a good product to start with. Thanks!